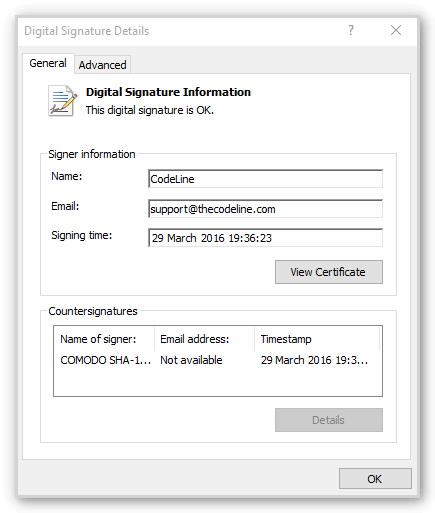 For your security, the CodeLine License Manager Website SSL Certificate has been updated. Unfortunately, this has necessitated a minor release for all products since existing releases will report that the communication channel is insecure and your license cannot be safely verified. 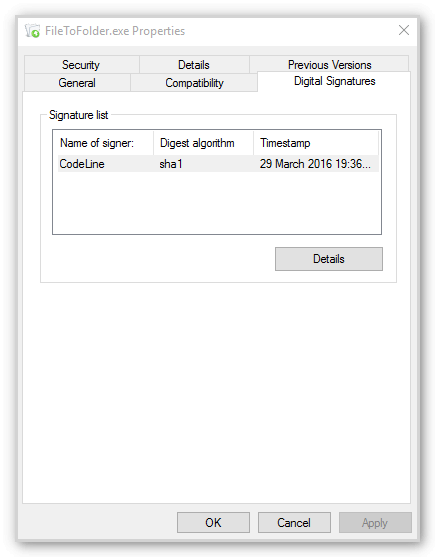 The normal update process is not changed – your application will find the new release on CodeLine’s site and proceed to download and update the application. Users may encounter warnings that their license is invalid or that the communication channel is not secure however, this will not compromise your security. 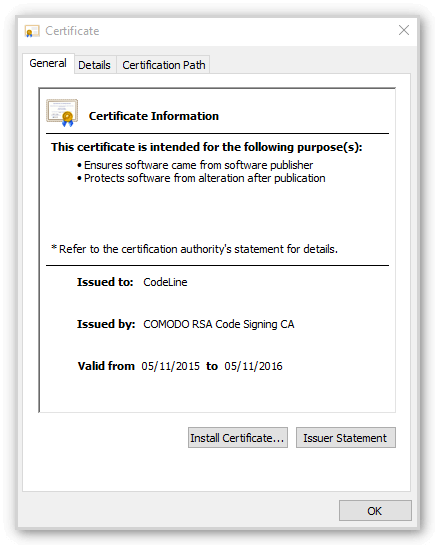 Click past/ignore these warnings and once downloaded and installed you can always verify the Application’s own certificate to be sure. CodeLine apologizes for any inconvenience this update may cause.